Compute power also gets a mighty push. Microsoft has announced new Azure Availability Zones in the UK, pushing its cloud service even further in the country and offering increased compute capacity. Announcing the news in a blog post, the company says this now increases its Azure regions by more than double in the UK, and its compute capacity by more than 1,500 per cent since 2016 when it was first introduced. Microsoft has two Azure regions in the UK, but the Azure Availability Zones are only available in the South. Among other things, Availability Zones mean customers can get a separate, physical locations within an Azure region, which has independent networking, power and cooling, but also more security and options for the cloud. “By doubling our UK regions and increasing our compute capacity by more than 1,500 per cent, our customers can have the confidence they can access any Azure services available in UK regions whenever they want,” commented Cindy Rose, Chief Executive of Microsoft UK. The UK South region is now also richer for Azure DevOps. The service “lets users create software, using tools that Microsoft has invested in and developed over the past 15 years”. 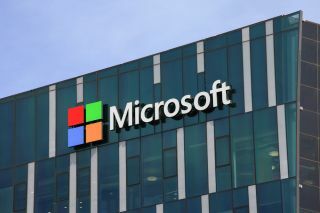 Microsoft said that just in the past 30 days, more than a million customers used these services and released them to the cloud and their own on-premise data centres.